Happy new year to all my readers! I’m now back and ready to keep posting here and on Twitter on FOI, associated issues and anything else that catches my attention. Just before Christmas, a campaigner who reads this blog and follows me on Twitter asked if I’d be prepared to contribute a guide to writing an FOI request for readers of his website. 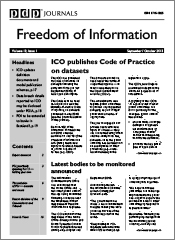 It occurred to me that this might be something of use and interest to others, so I’ve written this guide to making an FOI request (which can also be found under the FOI Man Guides heading on the right of this page). 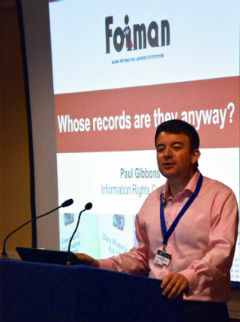 There are lots of other places you can go to find out the mechanics of making a request – authorities’ websites, the Information Commissioner’s website, books, WhatDoTheyKnow to name just a few (the FOI Other Resources section further down on the right of this page may be helpful if you’re stuck). So instead of regurgitating what they all have to say, my guide gives Ten Top Tips on making requests effectively, and most importantly, responsibly. In these straitened times, it’s important that people recognise the stresses and strains that public authorities will be under and use their services, including FOI, appropriately. Even if you have little sympathy for public employees, you ought to be considerate of the impact of your requests, because ultimately poor and irresponsible use of FOI can lead to backlashes against these rights which will leave us all the poorer. And the key thing is that by taking more care over your requests, you can make them more effective. 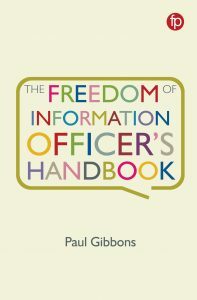 Often the requests that cause most consternation to FOI Officers and their colleagues are the least productive from the requester’s point of view as well, as they aren’t clear enough or are simply unrealistic in their expectations. Let me give you a couple of examples that I’ve heard about or had to deal with myself. We regularly receive ’round robin’ requests – requests which are sent to a number of authorities. One recent one received by several organisations asked for all expenditure on a specific activity by “the Trust”. Since many organisations that received it were not Trusts (presumably NHS Trusts were what the requester had in mind), some at least will not unreasonably have responded by asking them if they really intended to send the request to them. Presuming that they did intend to send it to all the public authorities concerned, they now have to write back to those authorities to clarify that they would like the information from them even if they aren’t Trusts, and have lost days or weeks before they will get a response. Another chestnut (not suitable for an open fire) is the request that asks for all expenditure on ‘marketing’. What does that mean? If we have a department called marketing, is it not reasonable for us to take that as a request for the cost of the marketing department? But if you’re comparing the expenditure on ‘marketing’ across several public bodies, is that really useful? It’s likely that different marketing departments will do different things, so the costs won’t be comparable. And unless you’ve specified which marketing activities you’re interested in, it’s unlikely our interpretation of which activities fall under that heading would be the same as your’s. With that last example, we could of course, come back to you to ‘advise and assist’, but even if we do, the whole process has slowed down. If you’d been more specific in the first place, we could get an answer to you that met your requirements and sooner. So hopefully the guide will prove useful to any of you that want to make requests in avoiding these pitfalls. If, like the campaigner who asked for this, you want to use the text on your website, there are instructions for its use at the bottom of the guide.